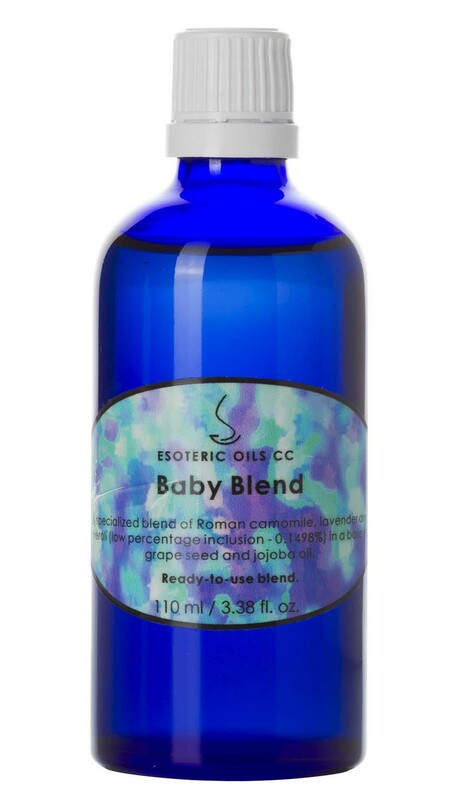 Our Baby Blend is specially formulated for the most precious person in your life using a low percentage of soothing essential oils in a carrier base of cold-pressed jojoba and grapeseed oil. One of the big joys of having a baby must be the precious moments in caring for a baby when bathing and dressing them. Babies can also benefit from the natural goodness and qualities contained in essential oils. When people think of the health of their babies, especially in relationship to chemicals used in baby products, they often switch to using the purest and most natural products available. The skin of a baby is extremely fragile, and great care must be taken not to introduce any allergens which may cause any type of allergic reaction, while care must be taken to supply the baby's skin with moisture and nurturing. Keeping this in mind, products formulated especially for babies, must also be extremely gentle, without any ingredients being too strong or concentrated on their delicate skin. With all the special needs and requirements as listed above, we developed and formulated our Baby Blend on demand, for clients that wished to be assured that they will be able to purchase only the most gentle and mild product for their baby. The concentration at which the essential oils are added is EXTREMELY low. An inclusion rate of only 0.15% is used - so there is no risk of the oils burning, irritating or causing any adverse reaction. To access the full information of each oil used in our Baby Blend, please have a look at the pages hyperlinked below. Bath your baby in the normal way with a mild soap and dry well. Pour a small amount of oil into the palm of your hand, and rub your hands together to warm up the oil, and gently massage the oil blend into the skin of your baby. This will leave your baby's skin silky soft, nourished and freshly smelling like the most precious thing in the world.